Show off your love for the law with Alynn Neckwear's Court Case Tie. No men's necktie would be more suitable for a judge or lawyer, decorated with a repeat pattern o... read more Show off your love for the law with Alynn Neckwear's Court Case Tie. No men's necktie would be more suitable for a judge or lawyer, decorated with a repeat pattern of court houses and gavels, on a red 100% silk background. 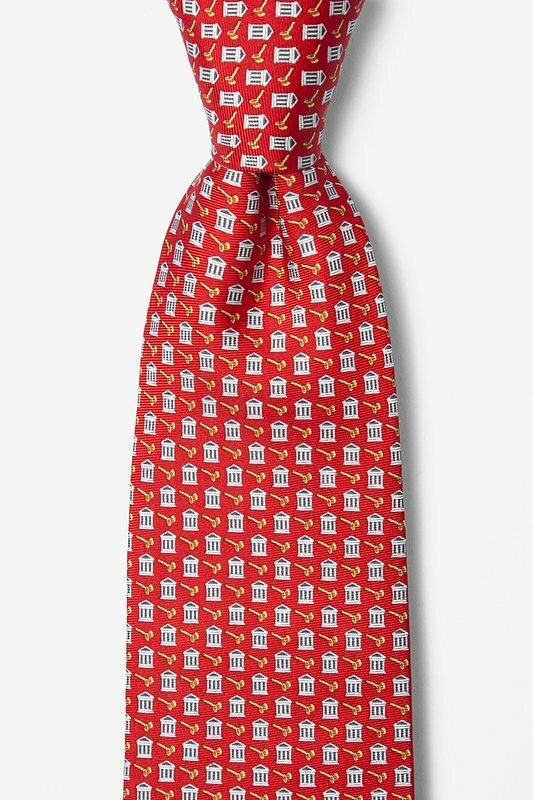 Win over the jury with this judicial tie.